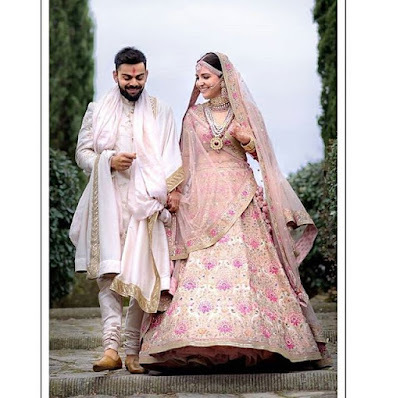 With a ring sparkling on her engagement finger and the bridal chudas decked on both her hands, Anushka seems to be embracing her wedded life with utmost grace. Donning a pastel pink number, she looks every bit fabulous in her first snap post-marriage. On the other hand, Virat is no less. He looks dapper as always in his sharp black suit. Bollywood’s leading lady Anushka Sharma and Indian cricket team captain surprised fans on Monday by announcing the news that they have finally tied the knot. The much-sought-after couple got married in a hush-hush ceremony in Tuscany, Italy. Be it their beautiful ensembles by celebrity designer Sabyasachi or every ritual, their wedding was the kind of stuff dreams are made of. Till now, we had witnessed pictures from the duo’s colorful mehendi, romantic sangeet and desi wedding. 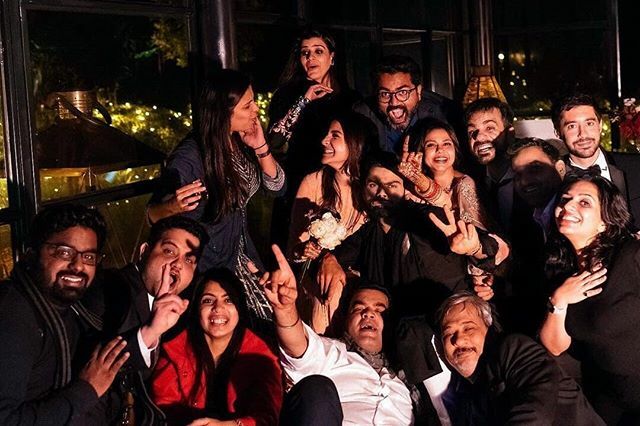 Now, a few pictures from their post-wedding DJ party have emerged on social media and we just can’t stop drooling. The wedding ceremonies took place at a countryside resort called Borgo Finocchieto, one of the most expensive holiday properties in the world located in a small village called Bibbiano. But it’s not like Virat and Anushka don’t mean to celebrate their wedlock in a grand fashion. Two receptions are due, one in Delhi for their relatives on December 21 and the other one in Mumbai for their Bollywood and cricketer friends on December 26.